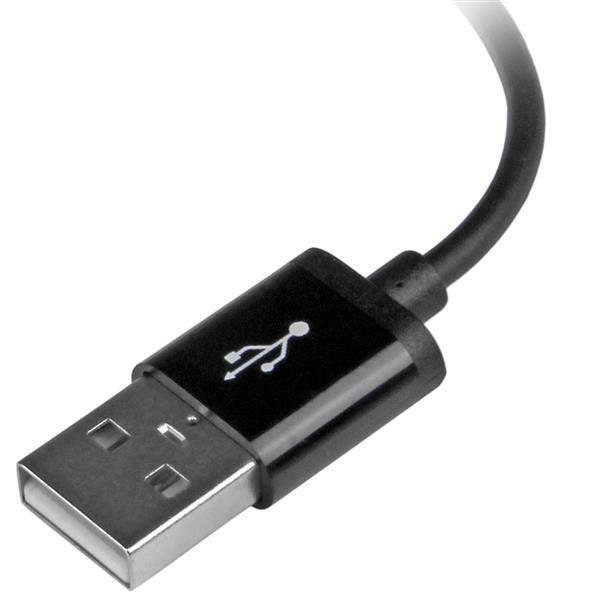 The USBLT30CMB 30cm Black Lightning to USB Cable for iPhone®, iPod®, and iPad® is colored to suit black mobile devices and provides a reliable solution for charging and syncing your newer generation Apple® mobile devices with your PC or Mac® computer, through an available USB port. (5 stars) Long term item! I bought it 2 years ago and it looks like new! And the very important thing...it works like 2 years ago! 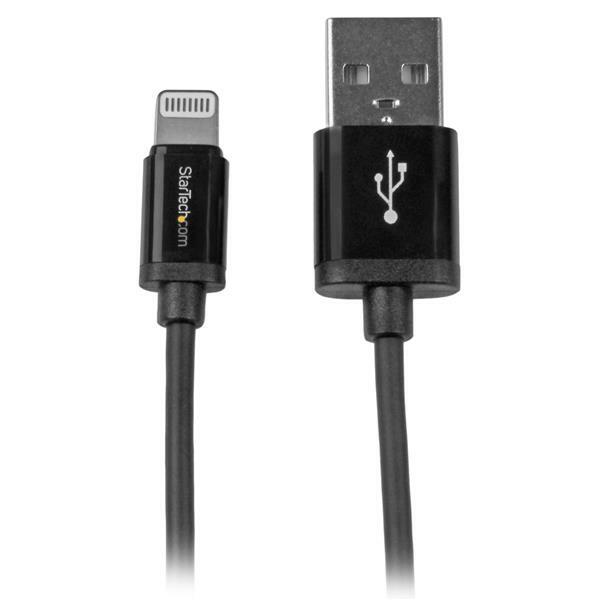 Often, especially these kind of cables often are broken quick but not StarTech.com products. They Keep their promise! 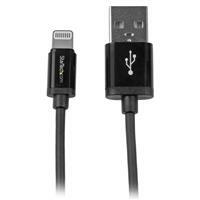 This product fits my iPhone flawlessly and works/syncs the same way my original Apple cable does. 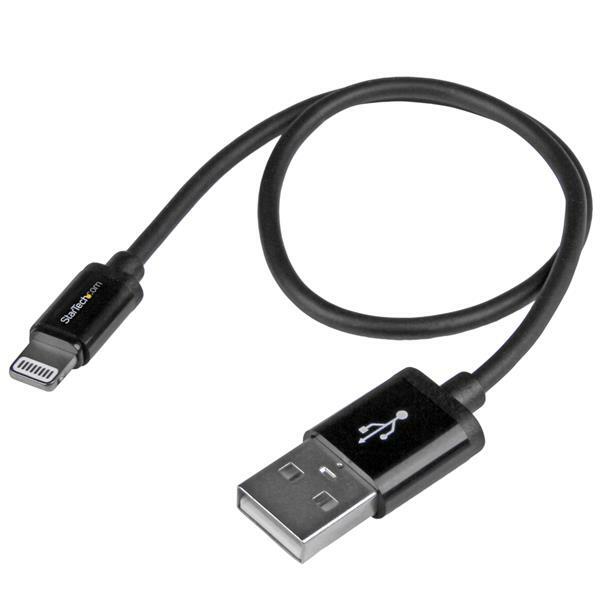 It is a supported cable so it will work with all devices.